School is starting soon and that means the morning routine is about to begin. 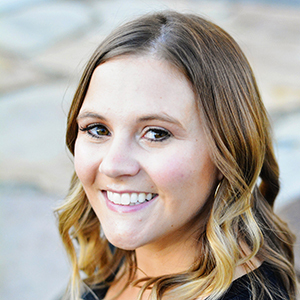 I’m always secretly excited for school to start and no–not just to get a break from round the clock parenting, but because I just love that time of year. I love when it gets a little cooler outside and I love having a routine again. But breakfast duty is not my favorite, especially when I was pregnant. Let’s just say my kids have eaten a lot of cereal in the last year. So let’s think of some breakfast ideas for our kids starting school. Something yummy and filling, with lots of nutrients and protein to keep them full. I was recently asked by The J.M. 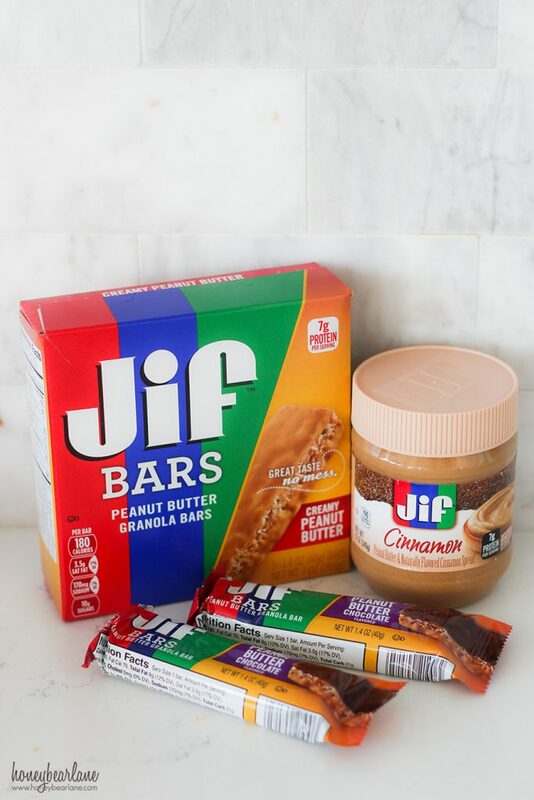 Smucker Company to create some unique tips for using new Jif Flavored Spreads and Jif Bars and I wanted to share with you. I went to Walmart and found the Jif Flavored Spreads in Maple and Cinnamon and Jif Bars and they were yummy! 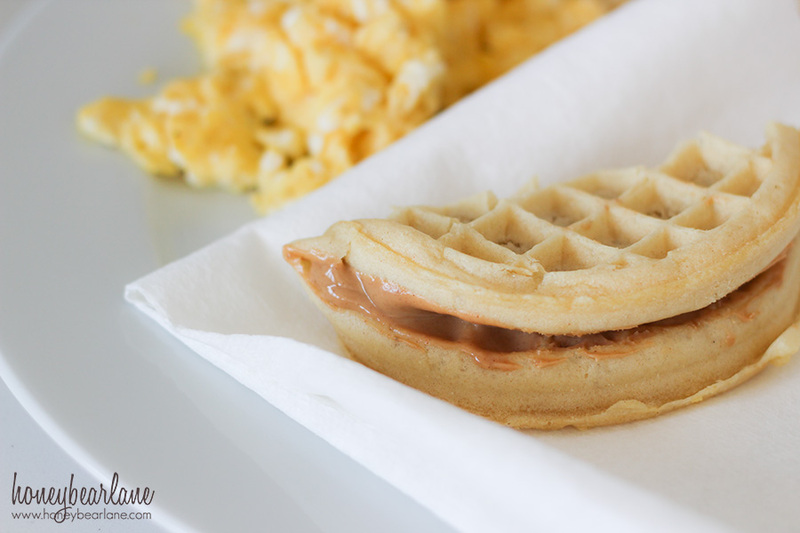 We are really peanut butter happy at our house so we tried to find ways to incorporate them into almost all our breakfasts. Eggs: We have them scrambled, fried, and sometimes omelet style. That’s about as creative as I get. But you can also serve them hard-boiled (which also makes for a good snack), Benedict, or poached. Toast: My kids love white bread toast but I try not to buy a lot of white bread. So we have whole wheat toast with our eggs but you can always serve it alone with butter or jam. But then we tried the Jif Cinnamon Peanut Butter on toast–so awesome! And it also makes for a great after-school snack! Muffins: Store bought muffins are so unhealthy and it doesn’t take that long to whip up a homemade batter for muffins. I spread some of the Jif Cinnamon Peanut Butter on my apple muffins and it was the perfect pairing. Fruit: Fruit is always a great solution for breakfast on the go. Bananas and apples work great, and you can spoon a little Jif Cinnamon or Maple Peanut Butter in small dish for dipping. Granola bars: Bars are always the best thing for hurried breakfasts. But I like having a bar that has some protein in it, something hearty and satisfying that is going to feel more like a breakfast than just a snack. 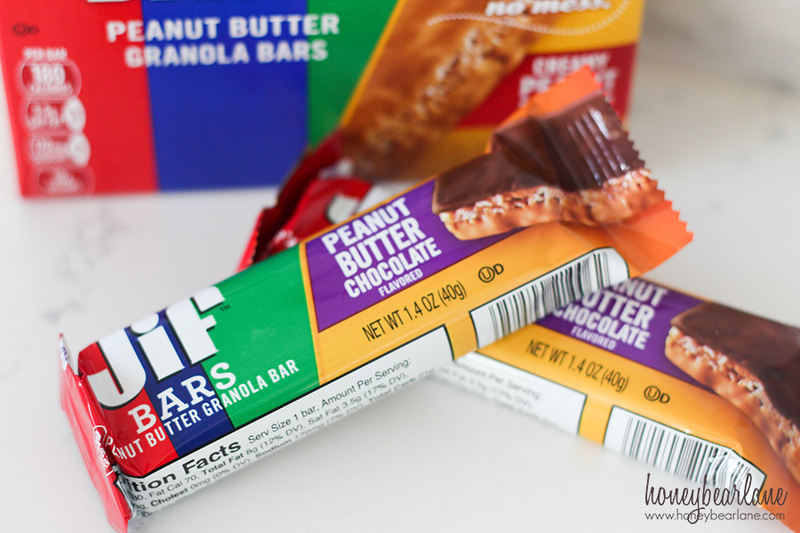 Jif also has Peanut Butter Granola Bars which we love for breakfast on the go. Obviously we are feeling very #peanutbutterhappy! Oatmeal: Oatmeal is one of the best breakfasts for nursing moms because oats help your milk supply. I eat this a couple times a week in the morning and it’s warm and satisfying. A great breakfast for cold fall or winter days. Waffles and pancakes: Served with maple or buttermilk syrup, these are more like a treat. But I love toasting frozen waffles, spreading some of the Jif Maple Peanut Butter on it, folding it in half, and wrapping it in a paper towel for my kids to eat as they walk to the bus stop. It’s a warm and yummy treat and not messy this way. Hope those breakfast ideas got your wheels turning. 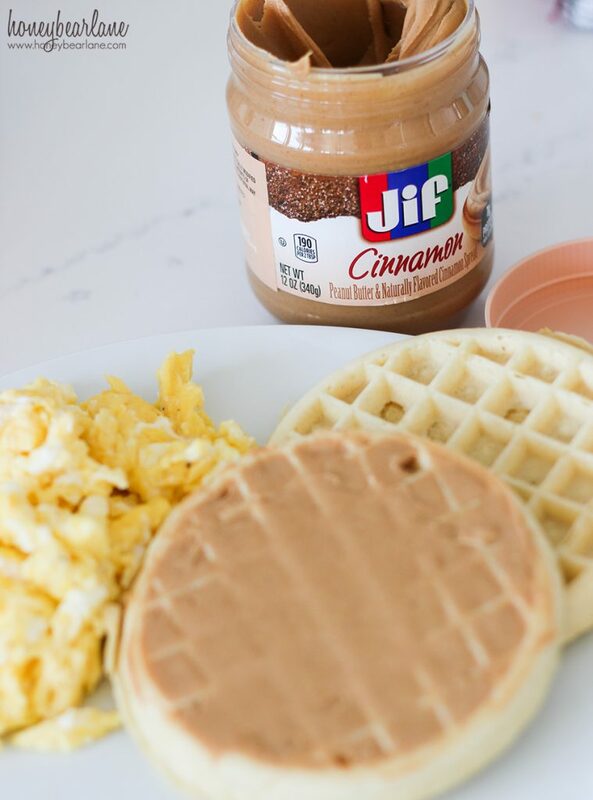 Now we are able to add yummy flavor to any breakfast food with Jif Flavored Spreads. It’s simple and delicious! By the way, I found the Jif Flavored Spreads and the Jif Bars at Walmart!